TWITCH is a clean, simple, fully responsive WordPress theme which is compatible with Bootstrap and build with visual composer page builder. The theme comes with custom plugins that allows you to use Visual composer with Bootstrap at the same time, these plugins provides you with bunch of elements which is added within the visual composer. It designed for Business purpose with a clean, simple and professional which is also suitable for Agency, Portfolio or Blog. It has one click demo button which enable user to import the contents automatically without need to upload or do some installation, it?s totally hassle free and the site immediately be ready to use and looks just like the demo. 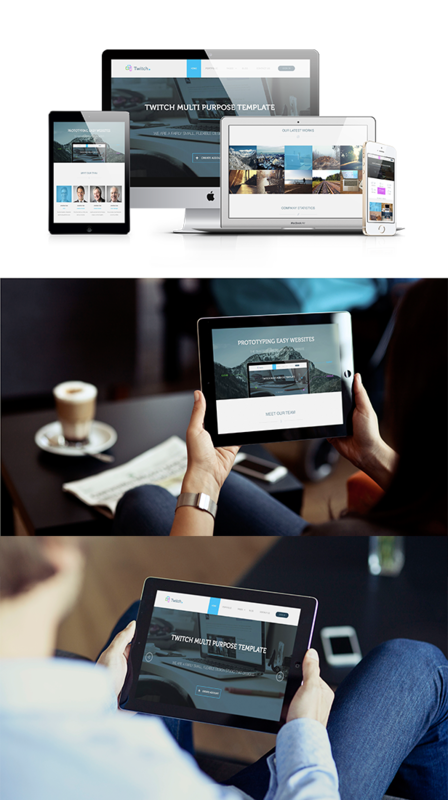 The theme is designed and built with the latest HTML5, CSS3 and Bootstrap libraries. The GUI is designed for novice user but still capable to accommodate advanced user needs.